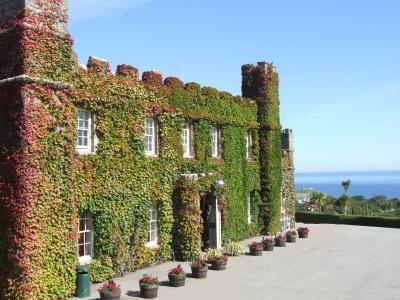 Lock in a great price for Tregenna Castle Resort – rated 8.1 by recent guests! Large modern room which was a pleasant change from staying in 15th Century hotels. Stunning 70 acre grounds. Nice restaurant. I'm sure we would have loved everything - we were so looking forward to our visit! Location. the grounds and facility architecture, inside and out. View from our room was beautiful (across the lawns). The food in the restaurant was amazing and very good portion sizes! Fantastic! Beautiful! The perfect get away. We will return. Hotel was great, restaurant at hotel was great and location was perfect. Views were amazing, gardens on property was icing on the cake. A beautiful hotel in a magnificent setting with beautiful gardens. This was the most spacious room we’ve had our entire stay in England. The bed was comfortable and the linens and pillows were very nice. The dining room was also nice and breakfast was done well. Beautiful place. Breakfast was very good and overall experience was excellent. 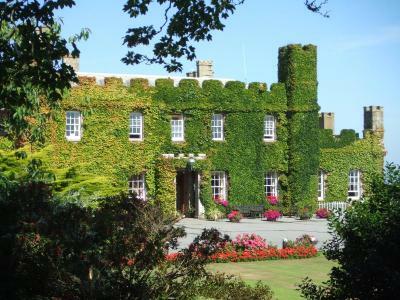 Tregenna Castle Resort This rating is a reflection of how the property compares to the industry standard when it comes to price, facilities and services available. It's based on a self-evaluation by the property. Use this rating to help choose your stay! 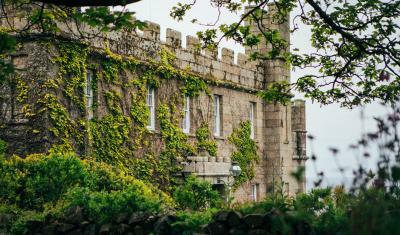 Within 72 acres of private grounds, this Tregenna Castle Resort overlooks St Ives and the Cornish coast. 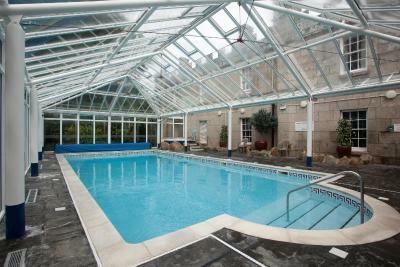 It has a heated indoor swimming pool, an outdoor seasonal heated swimming pool and 18-hole par 3 golf course. 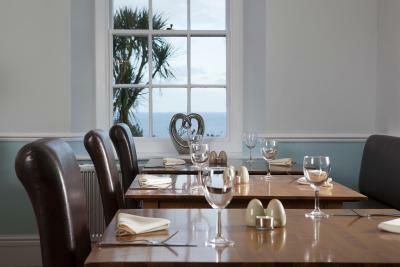 Guests at the Tregenna Castle Resort can enjoy 2 on-site restaurants, offering fine food and drink. Meals are made from local ingredients and are cooked fresh to order. Wireless internet is free, and there is free parking on site. 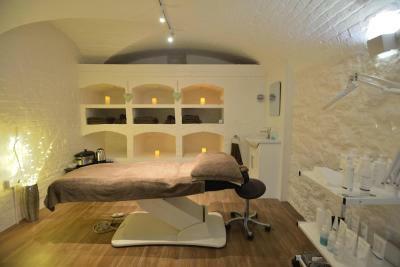 There is also a fitness suite for guests to enjoy. The magnificent hotel is surrounded by picturesque gardens and sub-tropical plants. 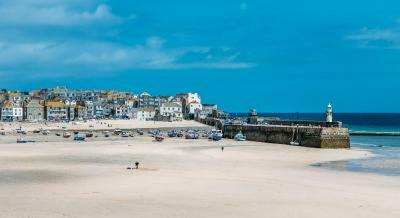 The coast and St Ives (Cornwall) Rail Station are around 15 minutes’ walk away. 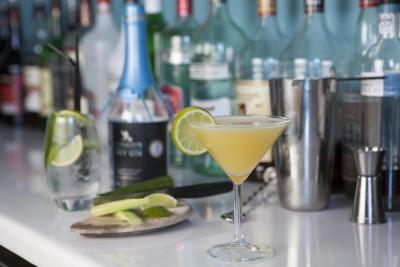 This is our guests' favorite part of St Ives, according to independent reviews. 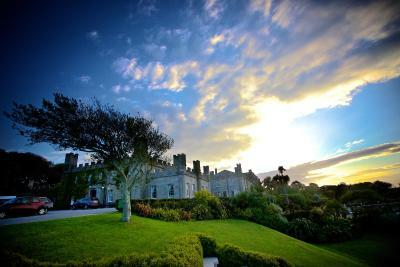 When would you like to stay at Tregenna Castle Resort? Request Double/Twin when booking. 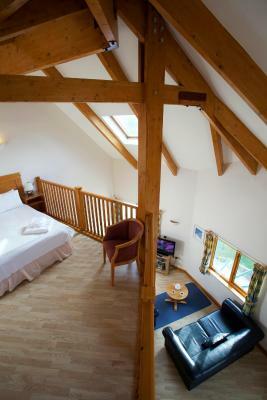 During peak season if you book more than 2 nights you may have to switch rooms each night in order to be accommodated. 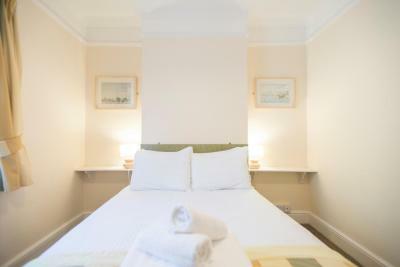 The room includes sofa bed which can accommodate up to 2 children under the age of 12 (charges apply). Guests are kindly requested to inform the hotel in advance if this will be required. 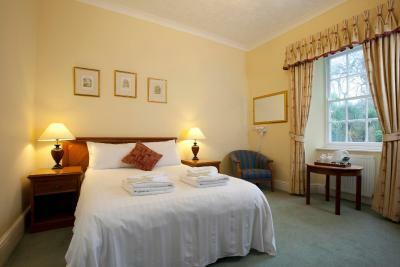 Bright room featuring a private bathroom with hairdryer, a TV, and tea/coffee facilities. 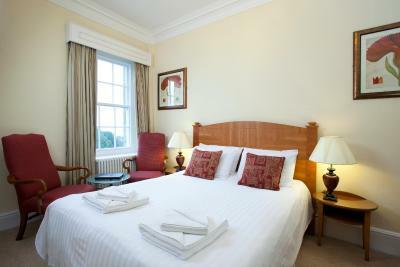 During peak season if you book more than 2 nights you may have to switch rooms each night in order to be accommodated. 165 ft behind the hotel and with views of the golf course, these apartments have an open-plan kitchen, living room and dining area with a bedroom. Each apartment can sleep up to 4 (2 adults and 2 children) with the sofa bed in the living area. These rooms feature flat-screen TVs, free Wi-Fi throughout the hotel and private bathroom with complimentary toiletries. These rooms feature flat-screen TVs, free Wi-Fi throughout the hotel and private bathroom with complimentary toiletries. Some rooms have sofa bed sleeping up to 2 children aged 15 years or younger. This room features a flat-screen TV, microwave and fridge. The room is overlooking the golf course. Located in the Plen an Dinas building you can enjoy breakfast on your private patio area enjoying the fresh Cornish air. 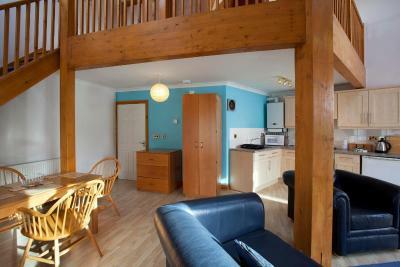 This apartment is located on the ground floor apartment with doors leading into the sunny garden. 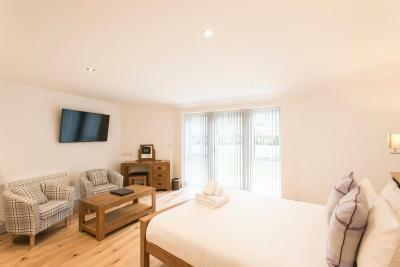 The living area is open plan with a lounge, dining area and fully equipped kitchen. This apartment have one double, one twin room and sofa bed in the lounge sleeping up to 6 people. This apartment is located on the first floor and features a double room, a bunk room, shower room (no bath) and a dual aspect living room which also has a small kitchenette area equipped with fridge, microwave, toaster and kettle. The living area has two balconies, one of which is a Juliet balcony offering seasonal sea views. The other offers outdoor seating for that relaxing morning coffee. With over 80 bedrooms and 70 self catering properties, extensive grounds and leisure facilities there is a perfect place to stay for couples on honeymoon in a West Wing Sea View room to a family of several generations in a four bedroom lodge. 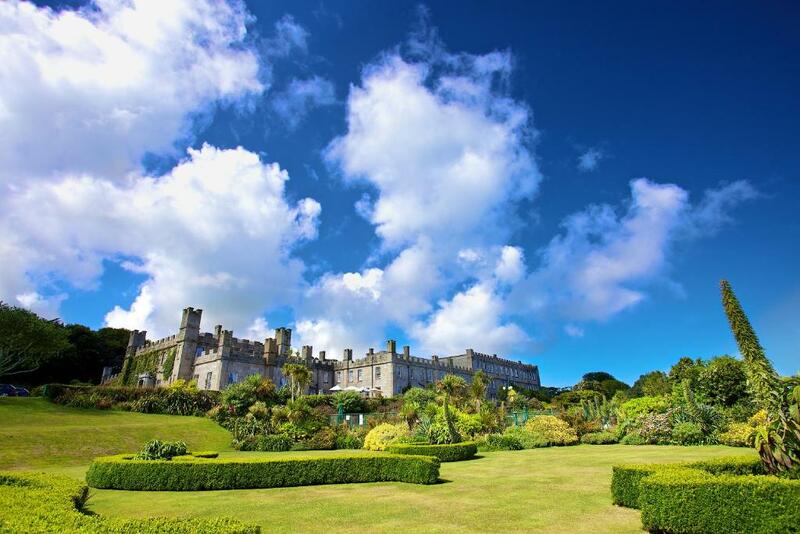 House Rules Tregenna Castle Resort takes special requests – add in the next step! 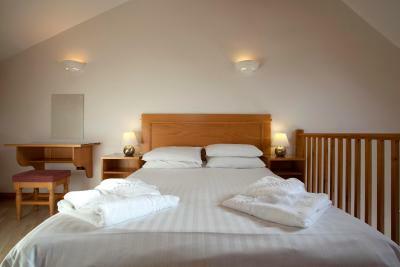 One child under 16 years is charged GBP 35 per night when using existing beds. 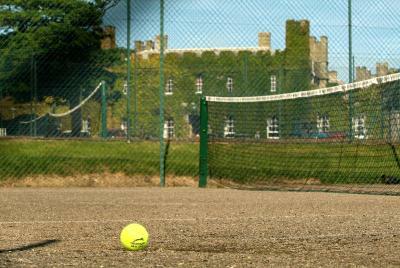 Tregenna Castle Resort accepts these cards and reserves the right to temporarily hold an amount prior to arrival. 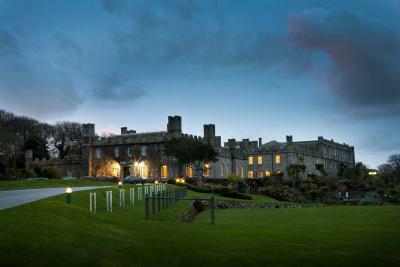 Tregenna Castle Resort does not accept American Express cards. If you book using an American Express card, you may be requested for another payment card. Please note that children under the age of 3 years stay for free. 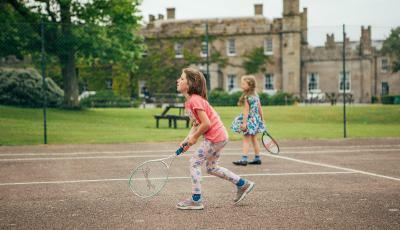 Children over the age of the 3 years are charged a supplement of GBP 35 per child, per night. The indoor pool was very disappointing. The bed was very very hard (and I like a hard bed! ), and the shower was weak. They missed the little touches which a smaller hotel can offer. Our bathroom window was stuck open, luckily it was a warm day otherwise it would have been freezing to come back to. The view!! The sea view was perfect and being able to sit and watch the sun go down from our room was lovely. To stay here, the rooms with a sea view are an absolute must. Our room smelt of damp and mould. We had to leave the windows open when we went out to air out the smell. The room was a good size, but slightly dated. 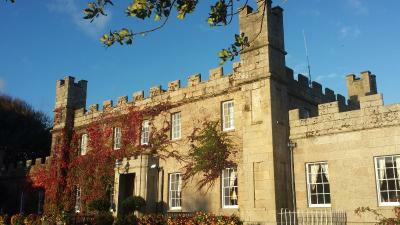 It’s ideal location as everything is on walking distance, the grounds are lovely. We’ve stayed here a few times and got married there 18months ago. We’ve stayed in all different parts of the hotel. The grounds and location were beautiful, convenience to get into town. The hotel as a whole is excellent. Bed was uncomfortable and sides collapsed. No hooks to hang towels in the bathroom. Had to hang them over chairs. Constant noise of water by our bedroom window. Looked like the drain was right there and made quite alot of noise. Service was not always good at the restaurant. Great breakfast selection Stunning views of St Ives Wonderful garden path to St Ives Lots of place to relax in the hotel Good facilities Overall it was good. The bathrooms although clean and tidy are quite old fashioned in appearance and functionality, would benefit from being up dated with modern furniture. 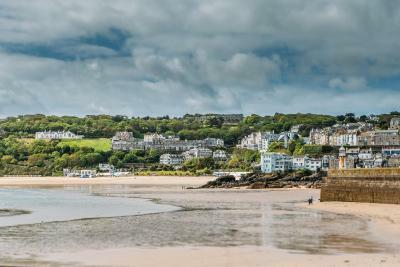 Location was excellent for the town ,beaches, shops restaurants and pubs. 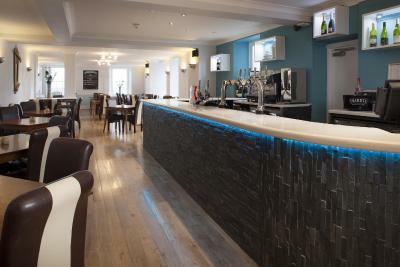 Hotel has a good restaurant and bar facility. Parking is very good, plenty of space. Hotel staff were very professional and helpful. Tired apartment and uncomfortable beds. Great buffet breakfast and scenery at resort lovely. Staff friendly. Not enough time to use all the facilities. The heating was not working. The room and bathroom were freezing. Finally we got a portable heating after 2 hours of suffering. I want my money back.